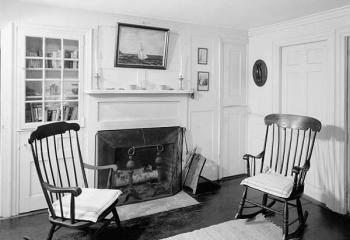 Old Cape Cod fireplaces. Sippican has photos of several. I stole the photo on the right from him. It's in Truro. Hope he doesn't get mad. Manhattan residential real estate up 23% in the past 12 months. Average sale price? 1 million. That is mainly apartments, of course. Prices also up in the boroughs. Average sale price outside Manhattan: $411,000. Bottom-scraping fishing trawlers plow and destroy the ocean bottom. In a recent article in the Times of London, Parris wrote that for all their impatience with economic stagnation, unemployment, social ghettos burning in the suburbs and the proliferation of violent youth groups, the French are not ready to make the "emotional leap'' necessary to reform a system under which people are used to relying on the government rather than on their own efforts for their welfare. We were talking about this somewhere here the other day.